We've spent 20 years perfecting our brewery design to benefit both home brewers and pilot breweries. 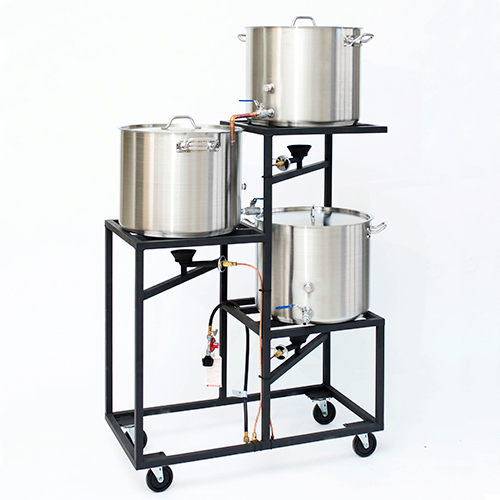 The brewery excels at utilizing a small space with our offset burners and all gravity flow. No high overhead flames, no pumping or heavy lifting of kettles is needed. One fully adjustable regulator operates all three burners independently. 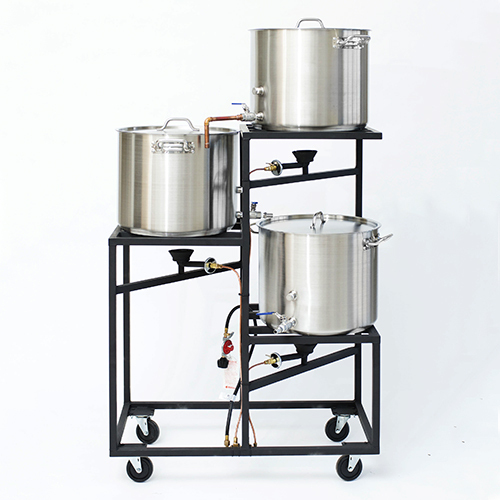 Included are three 15 gallon stainless steel kettles with lids: the mash/lauter kettle comes with removable stainless steel false bottom, and the hot liquor kettle with a shower tree for gentle sparging of the grain. All kettles come with 1/2 stainless steel shut off valves and vinyl tubing for draining.